Relax in style with our branded deckchairs. Printed in your corporate style, our deck chairs are a great way to promote your brand and are ideal for a trade event as well as a trip to the beach! For that additional touch, you can even personalize your custom deck chairs with individual names of team members or of products that you sell. And the great news is that the name personalization is available at NO EXTRA COST this summer. Just provide the names you require along with your logo, and we will do the rest. This option is also available on our branded directors chairs too. So if you have a forthcoming event or are looking for a quirky promotional giveaway or prize then you cannot go wrong with these fantastic products. The minimum order quantity is just one, so why not contact us with your specific requirement by calling 01543 261220 or sending us an email. 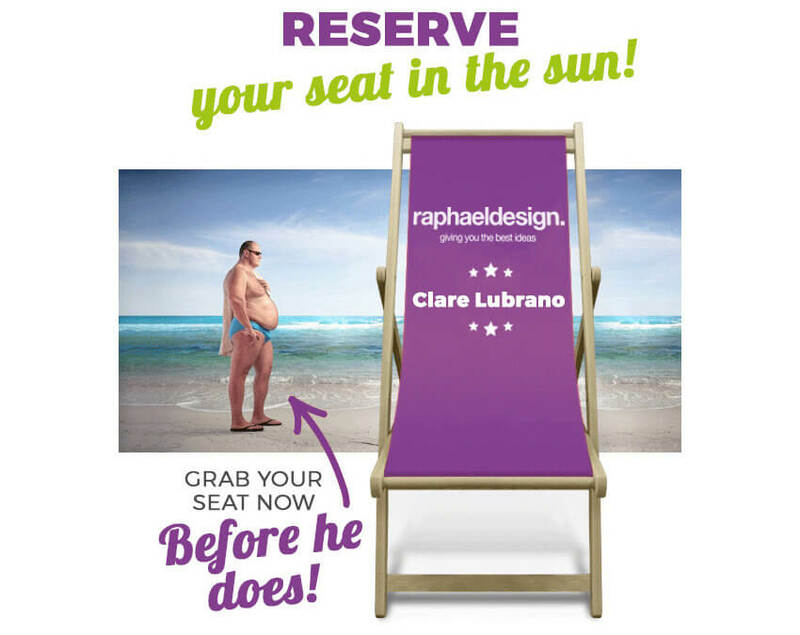 For more information on our deckchairs and other seating options, please click here!